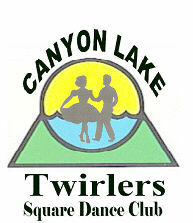 Dance Location Canyon Lake Lodge-22200 Canyon Club Drive. From I-15 - Exit Railroad Canyon Rd, turn left (east) turn left on Canyon Lake Drive, stay in left lane, tell guard that you are going to lodge to square dance, continue across causeway, turn left on Canyon Club drive, go to end. Plus Workshop each Wednesday at Canyony Lake lodge from 6:15 to 7:00 PM. A beginner Line Dance class is held Tuesdays from 4:30 to 6pm led by Dianna Gallagher. in the Canyon Lake Holiday Bay Room at the Lodge. For information call Andy Abeles (951)764-3347 or Randy Gibson (951) 246-1846.